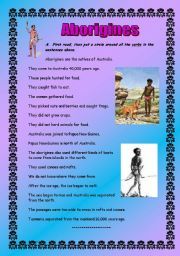 I´m from Melbourne, Australia currently working as Head of English at an International School in Dubai. Fantastic experience! 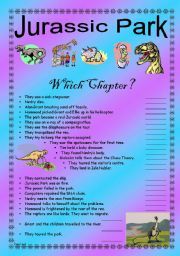 This unit focusses on teaching english Language through "Jurasic Park". It focusses on: comprehension, comparatives, superlatives, perpositions, cloze activities, completing sentences with appropriate preposition, punctuation. It is alos editable. Hope you find it useful. Cheers. 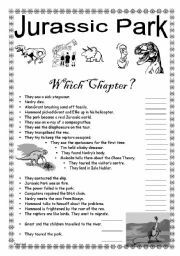 This worksheet focusses on teaching "comparatives & superlatives" through the topic of "Families". It is editable. Hope you find it useful. Cheers. 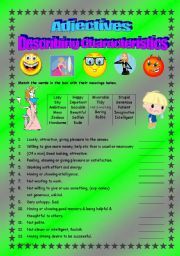 This worksheet focusses on "describing human characteristics" using adjectives. Students need to match the adjectives in the box with their meanings. This worksheet is editable. Hope you find it useful. Cheers. 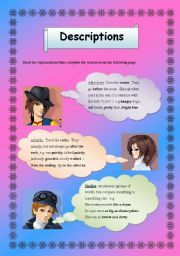 This worksheet focusses on teaching English Language through the topic of "Descriptions". 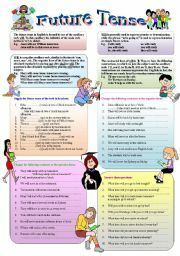 It includes adjectives, adverbs and similies with cloze activities. Hope you find it useful. Cheers. 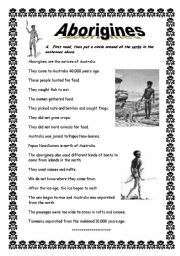 This powerpoint focuses on the Anzacs (Australian and New Zealand Soldiers) whom fought in World War I. 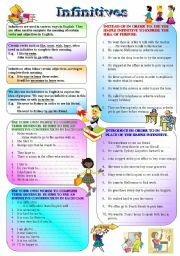 This powerpoint is accompanied by a worksheet which is needed in order to answer the questions. So be sure to download it, or else it will not be complete. Hope you enjoy it. Cheers!